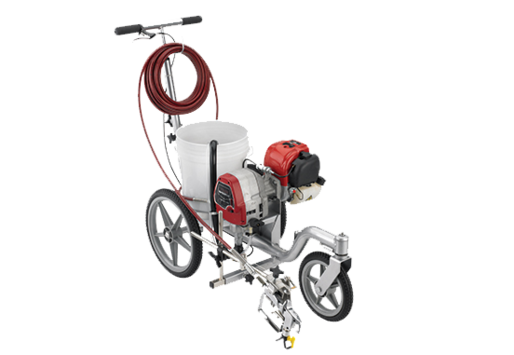 The POWRLINER™ 850 is designed for entry level contractors, sports turf managers and maintenance personnel who need a basic line striper capable of high-spraying pressures for smaller jobs on pavement, grass or turf. Powered by a dependable, easy-starting 37.7 cc 4-stroke engine. Recommended for full-time duty on parking lots and athletic fields. Designed and built for contractors who are serious about completing medium to large scale striping projects quickly and profitably. 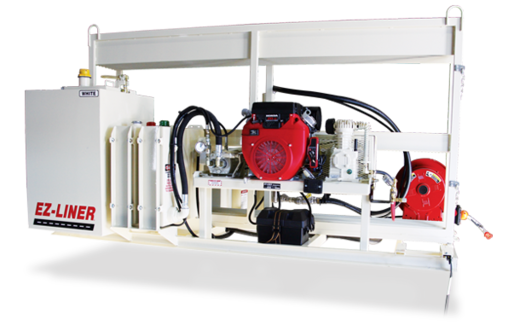 PowrLiner 4950 is the first step in hydraulic stripers where power and long-term heavy duty operation are the difference between a business that makes money and one that does not. Recommended for large-scale, full-time duty on airports, roads, parking lots and athletic fields. Larger projects require more power and output. PowrLiner 8950 line striper is the workhorse machine of the industry, designed for ease of use and simple operation on major projects that require maximum performance with minimum downtime and maintenance. 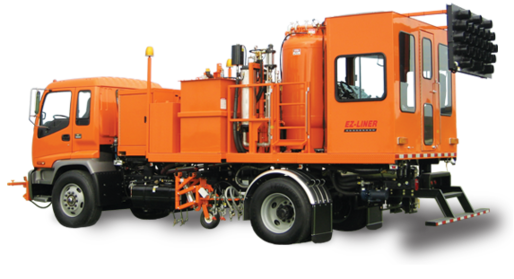 The single operator/one man operation striper available from EZ-Liner's arsenal of striping equipment is the Self-Propelled Ride-On pavement striper. 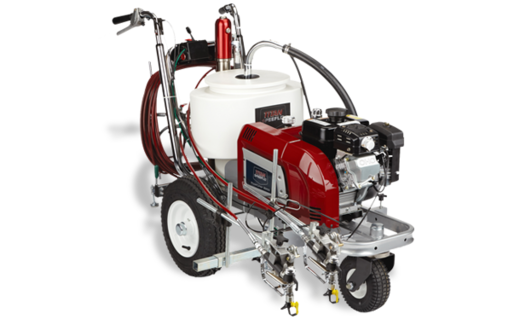 This unit has an airless paint system with a manual or a skipline controller and forward carriage design. Hhand spray capability can be added for legend marking. Paint choices are a single 50 gallon tank or two 25 gallon tanks. Pre-built designs engineered from years of Vogel Traffic Services application experience or customized designs built to your specific requirements. Variety of paint delivery systems available including airless and airspray technology. Choice of chassis. Engineering generated weight distribution layouts to ensure compliance with vehicle and legal limits. Simplified and convenient plumbing, wiring and controls for user friendliness and efficiency. Utilization of components recognized and trusted as professional, durable, dependable and cost-effective. High quality welds and unparalleled platform, railing and ladder construction. Two component Urethane coating, powder coating and plating for ultimate protection from weathering, wearing and fading. Field tested with millions of gallons of traffic paint in on-the-job situations through our own marking division. Durable, lightweight, sturdy carriage design with automatic storage lock and down pressure for consistent lines. Built to the requirements of each customer. Intelligent and safe design, dependable performance and reliable service after the sale. 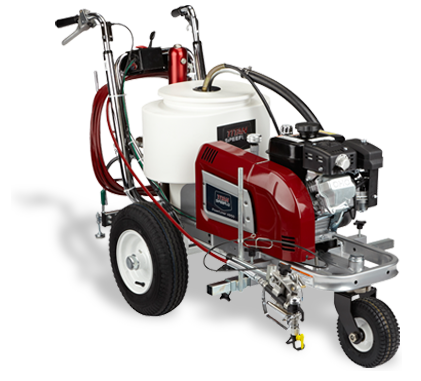 The AL110 is a palletized airless stencil paint unit that fits into the bed of a standard 3/4-ton pickup truck. The AL110 allows the user to efficiently apply stencils and legend markings while maximizing the productivity of striping equipment.